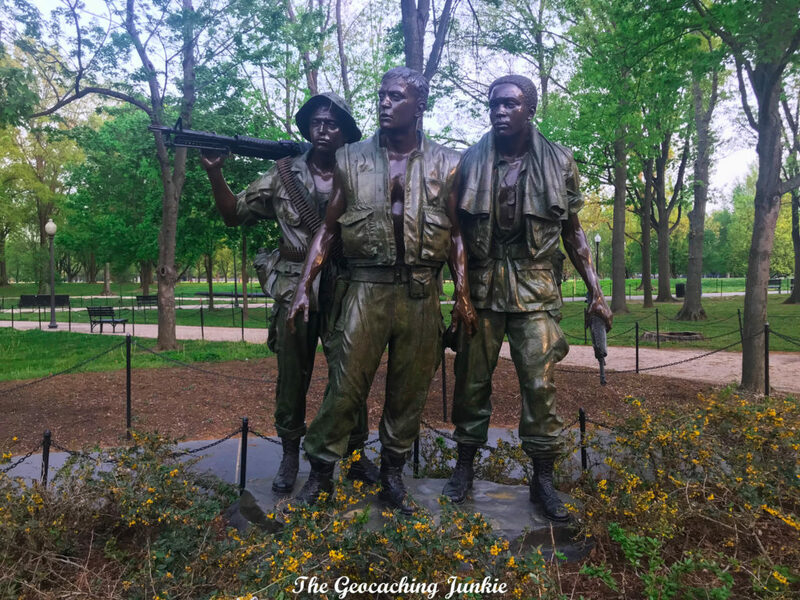 The last part of our epic trip to Washington D.C. was a visit to a small selection of the memorials in West Potomac Park. 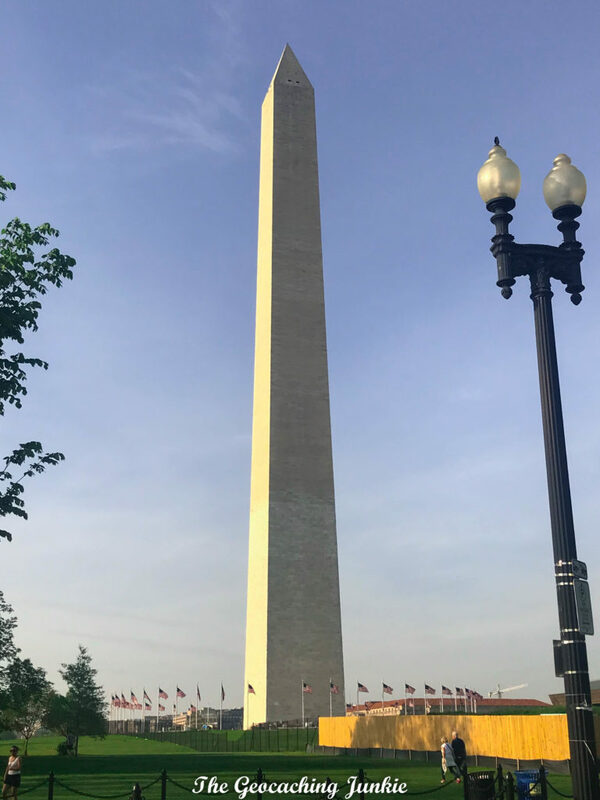 After a lot of walking in the 90°F heat already that day, I didn’t think my pregnant self could take the extra 1.5km trek to the end of the park from the Washington Monument, so I insisted we call a taxi to get us there – thank you Uber! This was my must-see location before we left D.C. and it’s even more incredibly moving in real life than I imagined it would be. 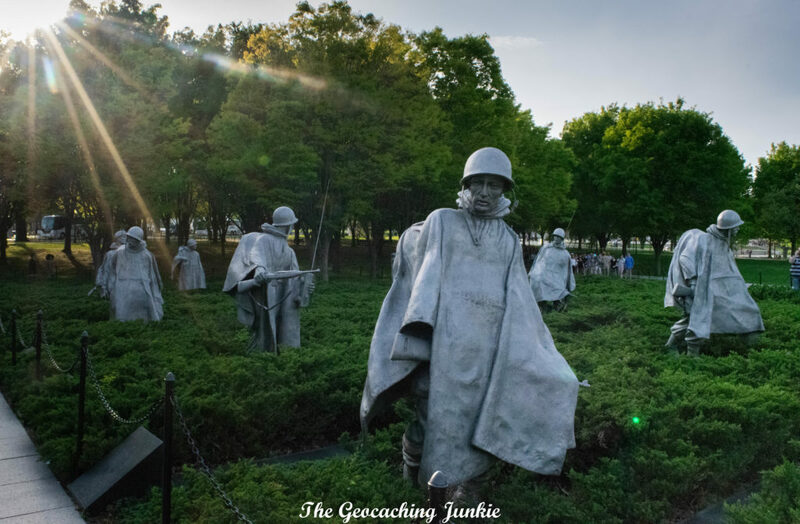 Most war memorials are emotive, but there is something about the 19 larger than life-size, stainless steel statues that is particular heart-rending. 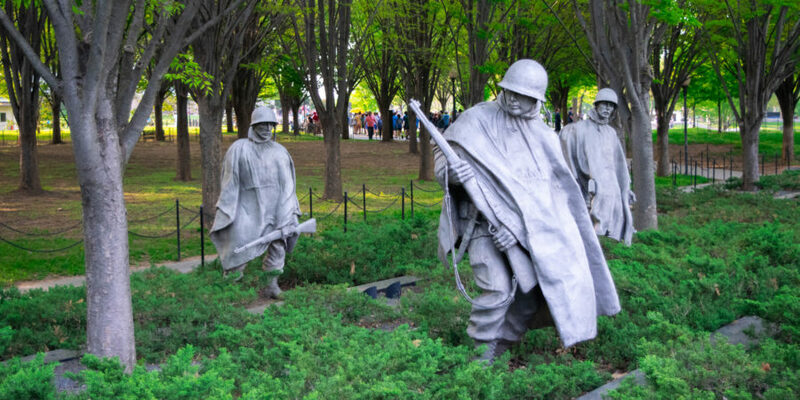 The statues portray a platoon on patrol, and represent members of the U.S. Army, Marine Corps, the Navy and the Air Corps. 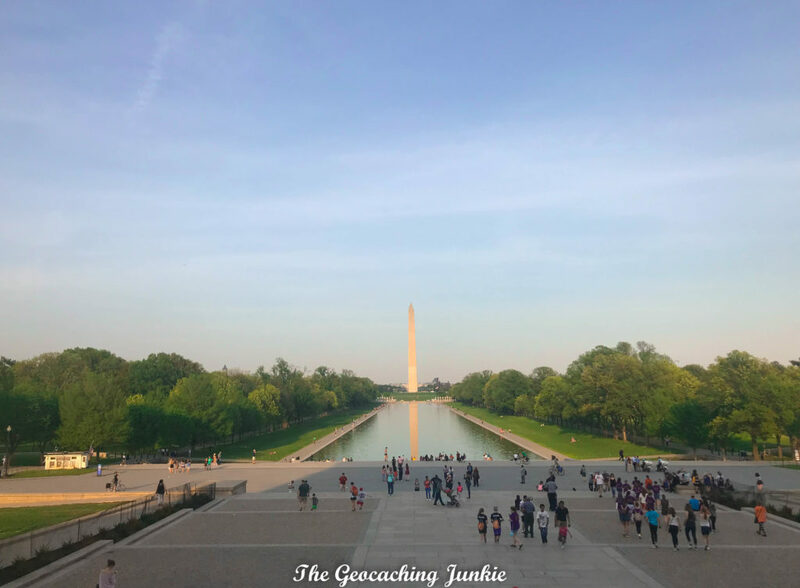 During our visit to the memorial, I collected the necessary information to log the virtual cache, I Can See Lincoln (GC2657), and indeed the iconic memorial to the 16th U.S. President was our next stop. The famous Lincoln Memorial has frequently been depicted on both the big and small screen, but for some reason, the one appearance that always springs to my mind is he Simpsons’ episode Mr. Lisa Goes to Washington, when Lisa appeals to the statue of Lincoln for advice. We arrived shortly before dusk and the place was still packed. 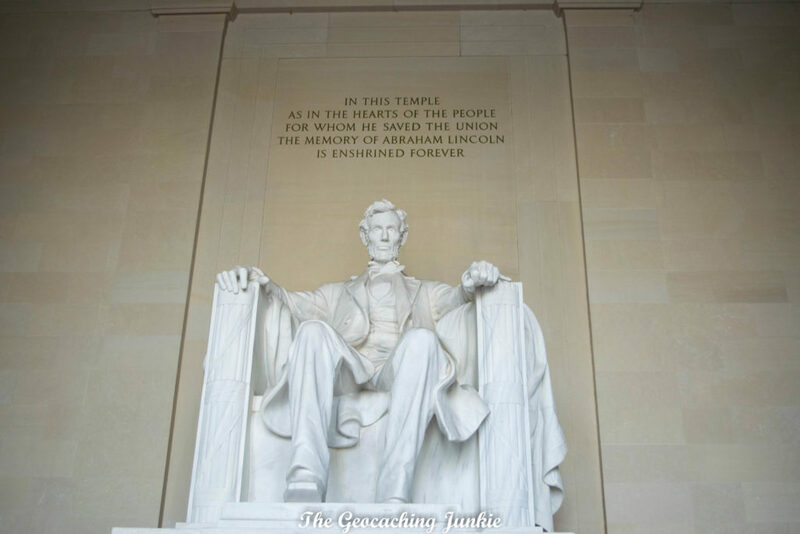 The 19-foot marble Old Abe has quite the view from his seat inside the building, designed to look like a Greek Doric temple, with the names of the 36 states that existed at the time of his death in 1865, inscribed high up around the exterior of the frieze (the part of the roof above the columns). 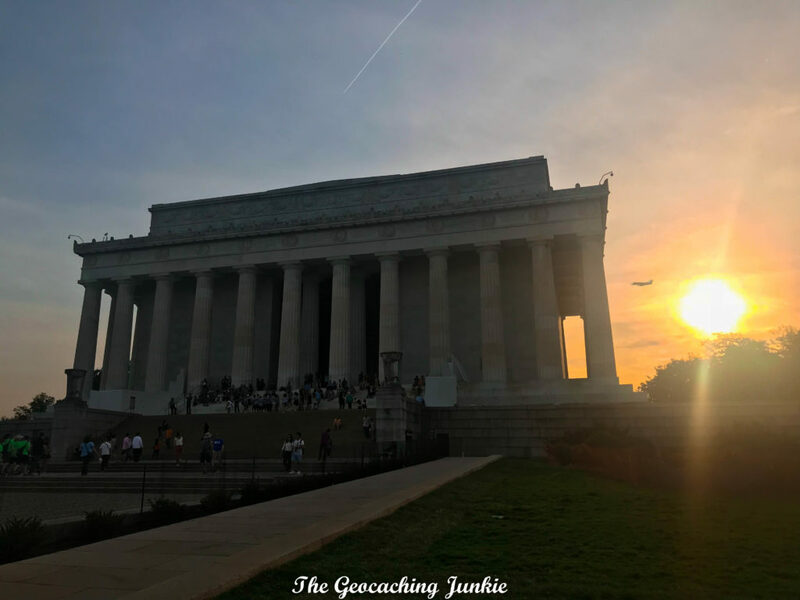 As is almost customary in DC, there was a virtual cache at this location too – The view of an “Honest Man” (GCEB2) – so I made sure to do the necessary to log this one and leave a lasting memory on the geocaching map. The Vietnam Veterans Memorial was our final stop before darkness fell and we retreated to the hotel after a long day of walking. 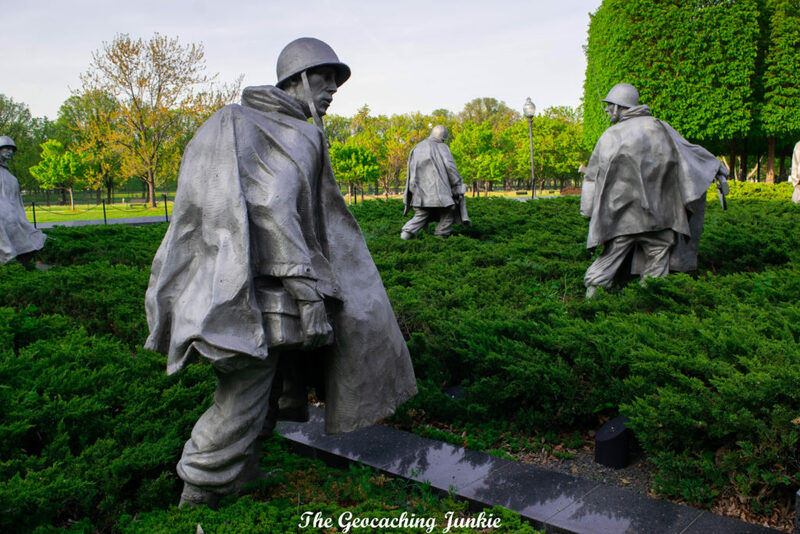 Before reaching the famous Memorial Wall, we visited The Three Soldiers, a bronze statue added to the memorial in 1984. The original monument contained only the famous Memorial Wall, unveiled in 1982 and inscribed with more than 58,000 ‘declared dead’ and missing in action soldiers who served in the Vietnam War. 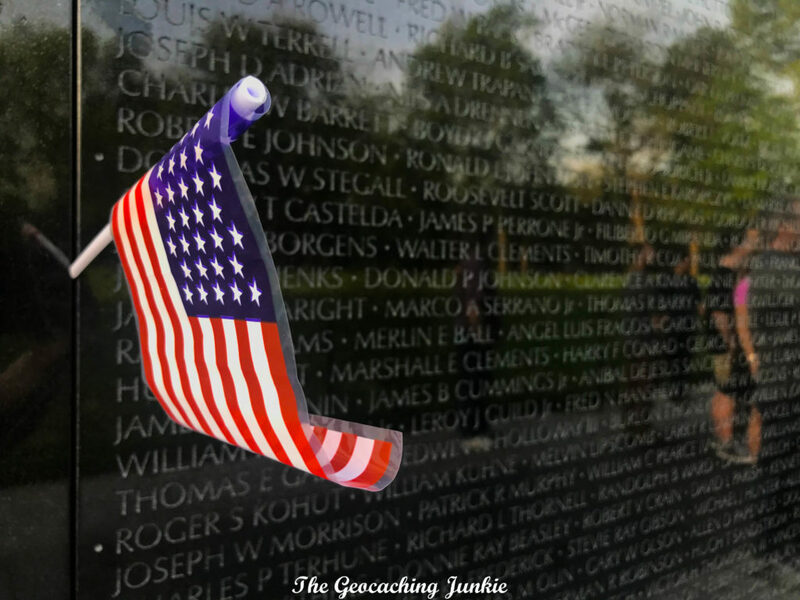 The wall is vast, composed of 144 granite panels, and its black, shiny surface creates a reflection of its surroundings – including the visitors who file by. So We Will Remember Them (GC25E1) was the final virtual cache we visited on the day and a fitting geocache to end the evening, given the memorials we had visited. The famous Reflecting Pool was the perfect view to end our visit to Washington D.C. The city has much more to offer than we could see in three days, with countless museums and other attractions we have yet to visit. There are also plenty more geocaches to find should we hopefully return in future! When I was in Washington in April 2011, the virtuals at the memorials where the mayority of my finds… and they are very impressive and interesting. I am in DC for the weekend after catching the Eagles and James Taylor in concert last Thursday. 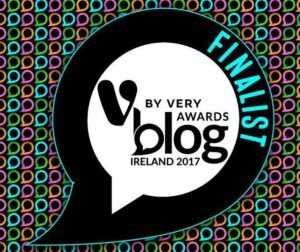 I had the pleasure of reasing your post in the location you are writing about.